EURÊKA!, AN EXCITING YEAR-END OUTING THAT IMMERSES YOUR STUDENTS IN SCIENCE… WHILE HAVING FUN! OVER 100 FUN, INTERACTIVE ACTIVITIES FOR YOUR STUDENTS! The places for morning arrivals are now fully booked. A unique opportunity for your students to meet more than 150 practitioners who are passionate about science and technology. Festival for curious minds of all ages. On the program: demonstrations, workshops and performances. More than 100 FREE outdoor activities. WHAT TEACHERS SAY ABOUT EUREKA! *Excerpt of survey carried out for the Eureka! Festival by YMS in June 2014. How much time should we plan for? As long as you like! There are 2 to 6 hours of activities. 3rd-cycle elementary and 1st-cycle secondary classes, but there is something for every level! By metro : orange line : Place d’Armes station (+10 min. walk). Feel free to picnic on the site (there will be a sheltered area in case of rain). How many supervisors will we need? We recommend one accompanying adult for every 10 students. What will happen when we arrive at the festival? Each group will be greeted upon arrival by a festival agent. Any other important information I should be aware of? We will send you an information kit a few weeks before the festival. Many of you participated in the Web Rally and Fake News hunt from Agence Science-Presse. 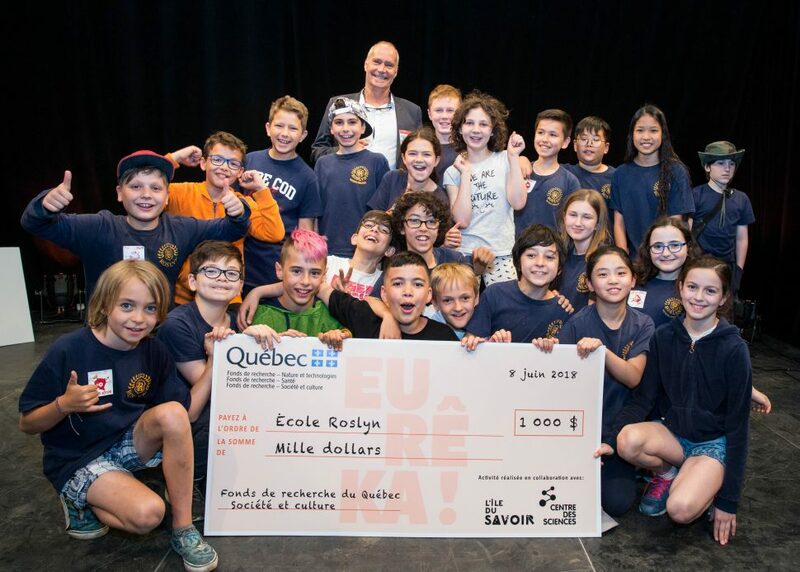 Congratulations to the 3 winning classes that won a $1,000 scholarship to carry out scientific activities in their school, thanks to the Fonds de recherche du Québec. 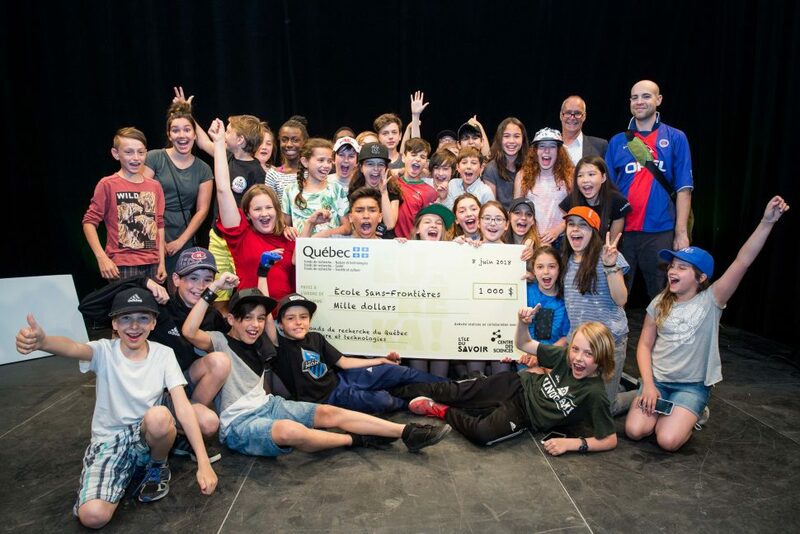 Mrs. Tanya Mathieu’s class from École Sans-Frontière won the Nature and Technologies grant. 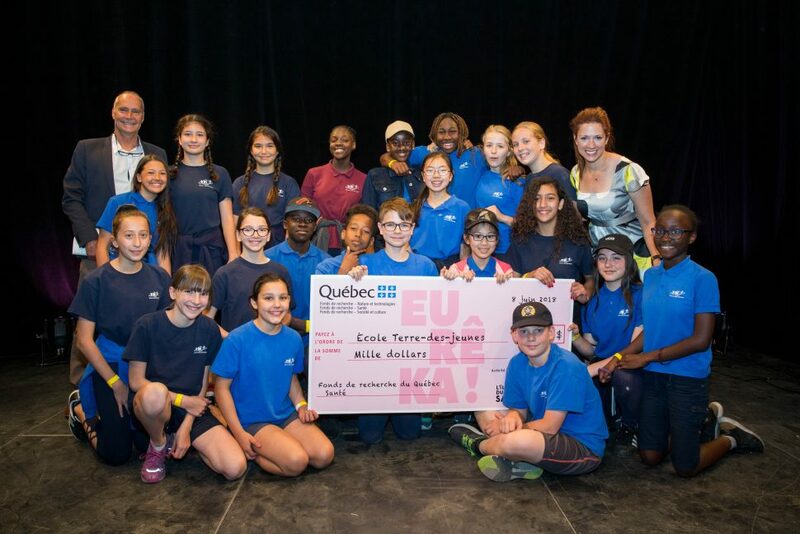 Mrs. Roxanne Gendron-Mathieu’s class from École Terre-des-jeunes received the Health grant. Mrs. Julie Marcus’ class from Roslyn School obtained the Society and Culture grant.